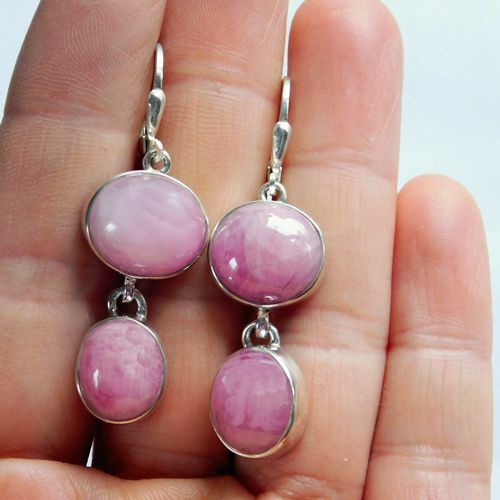 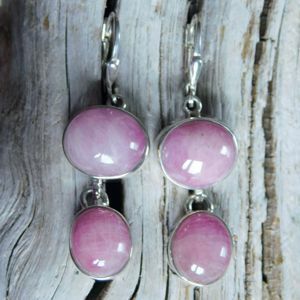 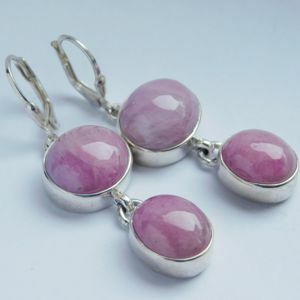 I created this pair of earrings around 4 beautiful Ruby cabochons. 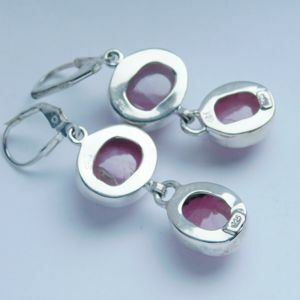 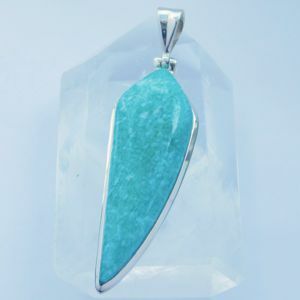 The oval-shaped gems measure 15 x 12 and 12 x 10 mm. 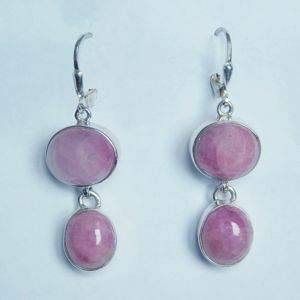 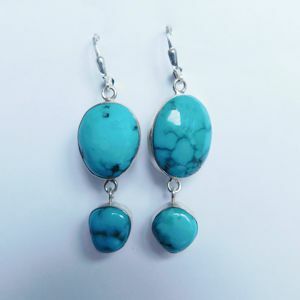 The measurement of the 925 Sterling Silver earrings is 45 x 14 mm.